Chris and Steven got stuck into playing with hay-making machines on Thursday at Covebrook. We were working on the brook just south of Cove Road, near the Southwood Pavilion to promote wildflowers such as meadow sweet. 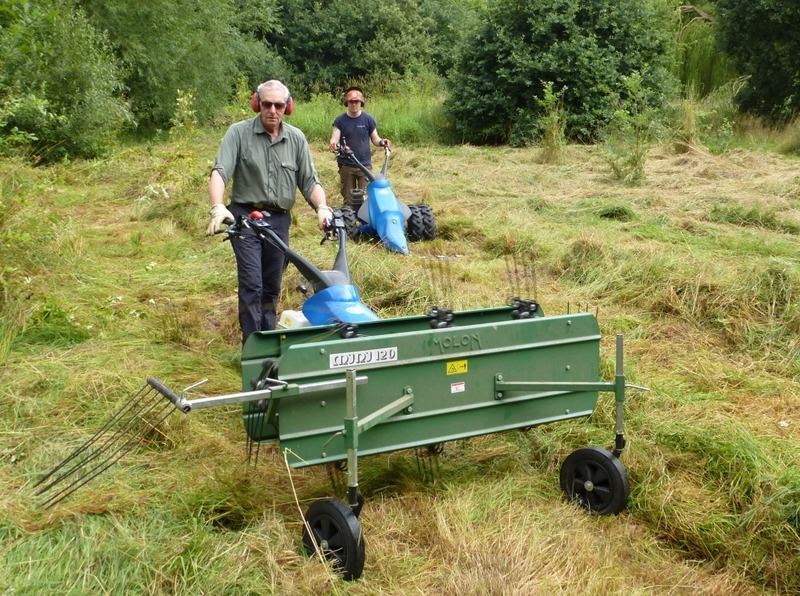 The meadow was cut with Steven in the background using the motorscythe, then swept into rows by Chris on the hay rake. This has the advantage of giving the chance for the hay to dry out so being lighter to move, which the Blackwater Volunteers are doing today. This entry was posted in Conservation, Cove Brook Greenway, Volunteers, Wildlife and tagged Hay cutting, Meadows, Tuesday Volunteers. Bookmark the permalink.